Umar (radiallaahu `anhu) admitted that he was unaware of that statement of the Prophet (sallallaahu `alayhi wasallam) because his trade used to keep him busy. He didn’t have enough time to spend in the company of Allah’s Apostle (sallallaahu `alayhi wasallam) and increase his knowledge like some other Companions did, for example Abu Huraira (radiallaahu `anhu). Isn’t this the case with many of us today? Something or the other keeps us away from increasing our knowledge about Islam, be it studies, work or whatever else. While it’s not wrong to be busy with this stuff, one must try their level best to take out time for Deen as well. Depending on your situation and circumstances, you MUST be involved in some sort of Islamic classes or courses. If weekdays are busy, join weekend classes. If commuting is an issue, study online. There are a lot of options nowadays and you know you don’t have an excuse to not study Islam anymore. Take action now. Yes, Umar (radiallaahu `anhu) didn’t have as much knowledge of the Hadith as Abu Huraira (radiallaahu `anhu) so to speak, but he didn’t become the second caliph for no reason. Get it? Inshaa’Allaah in this post and the upcoming one I’ll discuss about the most authentic books and sources of hadeeth, just a little introduction about the hard work of the authors, who dedicated their whole lives for the noble `ilm (knowledge). May Allaah be pleased with them. Aameen. The early sources of hadeeth fall into three distinct groups. Firstly, there were books on Maghaazee (almost synonymous with Seerah) – such as those of Ibn Is’haaq and others – in which hadeeths of a historical nature are to be found. Secondly, there were books on Fiqh, such as the Muwatta’ of Imaam Maalik and Kitaab al-Umm of Imaam al-Shaafi‘ee, which contain a large number of legal hadeeths, cited in the context of legal discussions and mingled with rulings and practices of the Companions and their students. Finally, there are works that are strictly collections of Hadeeth such as Saheeh al-Bukhari. Today Inshaa’Allaah I will discuss about Muwatta’ of Imam Maalik..
Maalik ibn Anas ibn ‘Aamir, was born in Madeenah in the year 717 CE. His grandfather, ‘Aamir, was among the major Sahaabah of Madeenah. Maalik May Allaah be pleased with him studied Hadeeth under Az-Zuhree May Allaah be pleased with him who was the greatest hadeeth scholar of his time. as well as under the great hadeeth narrator, Naafi‘, the freed slave of the Sahabee ‘Abdullaah ibn ‘Umar Radiyallaah’anhu. Maalik’s May Allaah be pleased with him only journeys outside of Madeenah were for Hajj, and thus he largely limited himself to the knowledge available in Madeenah. Imaam Maalik continued to teach hadeeth in Madeenah over a period of forty years and he managed to compile a book containing hadeeths of the Prophet Sallallaahu’alayhi wa salaam and rulings of the Sahaabah and their successors which he named Al-Muwatta’ (the Beaten Path). Abbaasid caliph, Aboo Ja‘far al-Mansoor (754-755 CE) who wanted a comprehensive code of law based on the Prophet’s Sallallaahu’alayhi wa salaam’s Sunnah which could be applied uniformly throughout his realm. But, on its completion, Imaam Maalik refused to have it forced on the people pointing out that the Sahaabah had scattered throughout the Islamic empire and had taken with them other parts of the Sunnah which also had to be considered in any laws imposed throughout the state. Caliph Haaroon ar-Rasheed (768-809 CE) also made the same request of the Imaam, but he was also turned down. Imaam Maalik died in the city of his birth in the year 801CE at the venerable age of 83. Nasr b. Ibrâhîm Al-Maqdisî in Mukhtasar Al-Hujjah ‘alâ Târik Al-Mahajjah Vol.1 p121. May Allaah Subhanahu wa ta’laa give us Hidayah and guide us to the path of the righteous people. Aameen. Whoever concealed (the fault of) his brother in this world, Allaah will conceal his faults on the Day of Judgement. While reading this I was thinking that Wallaah! This was the true passion of those righteous people (May Allaah Be Pleased With Them). The passion of seeking the Noble Knowledge (العلم), their love for Islaam and because of this love they strive hard, covered the distance of miles in search for one Hadeeth or Tafseer of one Ayaah or a talk of wisdom. Just think for a minute that though today we have the resources, we have access, just with one click (tuk tuk) we can search, read, learn etc. But still.. Why?? What we are lacking?? Why are we not at that level?? (افلا تتفکرون) Do tadabbur and tafakkur and Inshaa’Allaah you’ll get the answer. 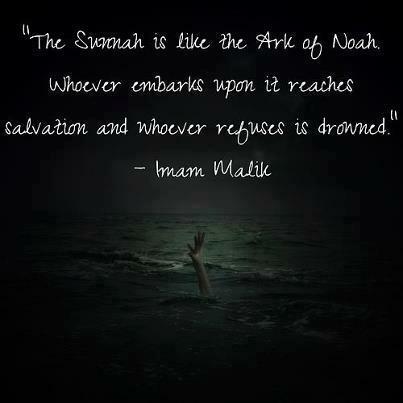 May Allaah Subhanahu wa ta`alaa increase and strengthen our Imaan. Aameen. Hadith no. 740 is a repeat. Read it here. So that’s how it was back then. Circles. Halaqaat. One person speaking and others sitting ‘around’ him. And the khateeb (one who is delivering the sermon) would sometimes sit in the middle, to give his legs some rest, or maybe just to be at the eye level of his audience. Alhamdulillah, we do have halaqaat of `Ilm these days as well. May Allah increase our knowledge and help us acquire it the way the best of people did. Prophet (SAW) did not have all the teaching methods and resources back then. He did not have access to multimedia or even electricity, really. All he and his students had was Imaan and Ikhlaas. Those students of a completely ‘unprofessional’ institute later on changed the face of this Earth. Precisely, those people. Repeats: Ahadith 736 – 737. I have done this so that you may follow me and learn the way I pray. What did Prophet (SAW) do but to teach us the right way to go about things? His life was a mission – to teach, to deliver the message. So learn. Learn. Learn! Learn from the Prophet (SAW). Learn from those who follow him. Learn from those who love him. Learn about him, his life, his mission, his journey, his everything. And this is why the angels were made to bow down (in honor) before him. This `Ilm. So learn, will you?